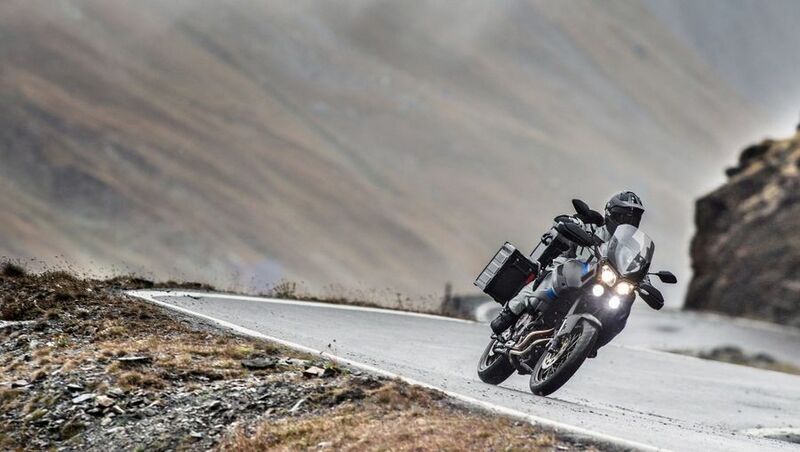 There’s no denying that motorcycling and winter weather aren’t the coziest of bed mates nor that many bikers effectively ‘hibernate’ until Spring. But with the right preparation, decent kit and a common sense approach it can still be good fun, effective and a great way to travel. 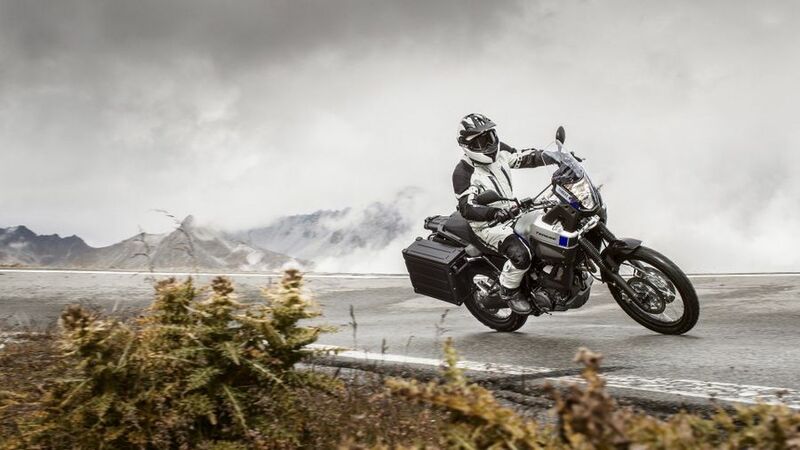 In winter, as extreme weather is more likely, you simply must plan any motorcycle trip more carefully, especially if considering a long-distance ride. So: check weather forecasts and news reports and, if heavy snow, high winds or very extreme temperatures are likely, think again. In addition, you should take road condition into account. Is your normal route likely to take in unsalted and therefore potentially icy roads? If so, can an alternative route be taken? Forewarned is forearmed. In cold, wet or even icy winter weather the correct clothing is vital – not just for your own comfort but, as riding when cold affects a rider’s abilities and reactions, your safety, too. A good jacket, trousers, boots, gloves and helmet are musts, obviously but also makes sure before going on a long journey that it’s kit you’re familiar with, both in terms of warmth provision and mobility. Also bear in mind the affect of wind chill if intending to cover prolonged motorway miles, for example. But it doesn’t stop there. A balaclava or underhelmet, neck warmer and long underwear are also recommended, as is heated clothing. While multiple, thin layers are always better than mobility restricting thick ones. Kitting your bike out for winter is every bit as important as kitting out yourself. 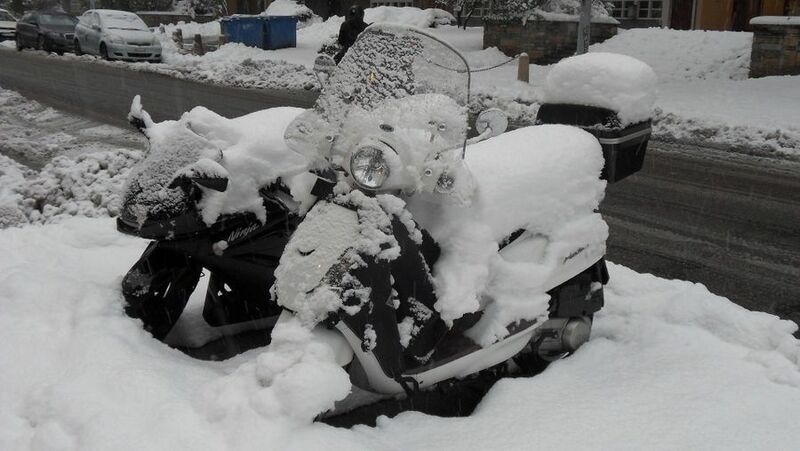 In the first instance, you can help keep the worst of the winter chill off by fitting a screen (if it doesn’t already have one, or perhaps a taller one if it has), hand guards (or handlebar muffs or even heated grips). While in the second you need to both check your bike is fit for purpose and do your best to protect it as well as you from the elements. Because of the more extreme weather it’s more important than ever that everything on your bike works smoothly and correctly. So, check tyre tread depth and pressures, suspension operation and braking distances on wet roads (because of wet and greasy road conditions motorcycle braking distances can much much longer than expected in winter). Check, too, all the controls work smoothly and all your lights work brightly. Also, because of road grime and salt, protect your bike thoroughly. A healthy sprayed coat of WD40 or similar is advisable on exposed metal surfaces (but keep it away from your brakes!) while all bearing and moving parts should be greased and the exposed drive chain lubed. Finally, if your bike is water-cooled, make sure the antifreeze is fresh (it should be changed annually) and the coolant hoses are not cracked or leaking. Again, because of the poor weather but also because of shorter days, visibility can be compromised during winter. To compensate for this do your best not just to see yourself – by having a clean, unscratched, clear visor and the means to clean it en-route – but also to be seen by always riding with your lights on, fitting riding lights and wearing light, reflective clothing or a Sam Browne or vest. It seem obvious enough, but our basic advice for riding in winter is to takes things easily – in other words, avoid sudden starts, stops and changes of direction, use the controls gently and progressively, try to plan and look ahead as far as possible and, above all, ride smoothly. All of this is to avoid using up all the grip available but it’s also because of the extra challenges of winter wind and rain. To help achieve this, use the space available, give other vehicles a wider berth than normal (to avoid their buffeting and road spray). And if you have a long ride ahead, plan to stop and warm up along the way.